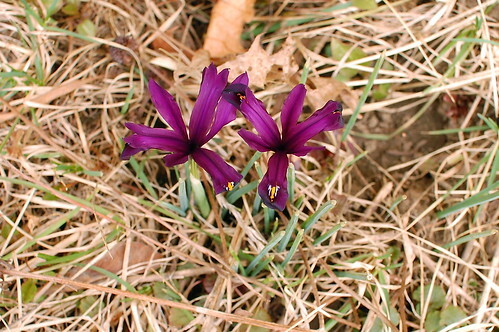 I cannot remember a time when the Siberian Iris bloomed before the crocus! How unusual. 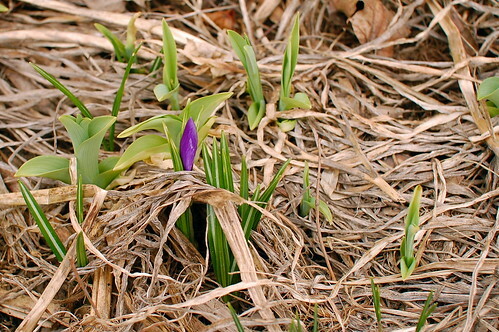 The first crocus produced a bloom overnight. Yesterday there was not yet a hint of color (I checked three times). At noon today, there is a bloom about to open.